We gathered to celebrate the failed terrorist plot to blow up the houses of Parliament today. They gathered today to burn another Catholic freedom fighter in effigy. The photo above freaked me a little- it looked like a man being burnt on a cross- which would be slightly appropriate I suppose. 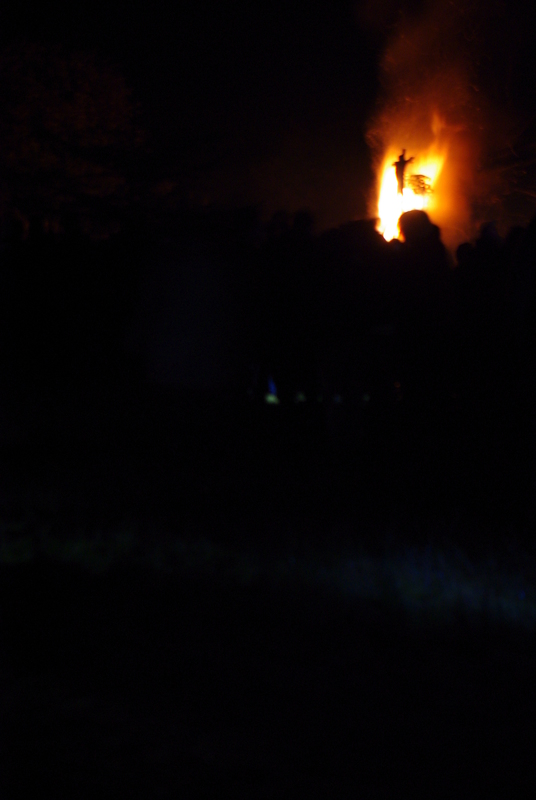 So I chose to engage with the bonfire and fireworks (both of which I love) as a means to remember a time when Protestant and Catholic were set against one another, and truth tribalism was let loose on the land like a pack of raging wolves. This entry was posted in photography, Spirituality, Uncategorized and tagged Bonfire night, Catholic, fireworks, guy fawkes, photography, religion by Chris Goan. Bookmark the permalink.